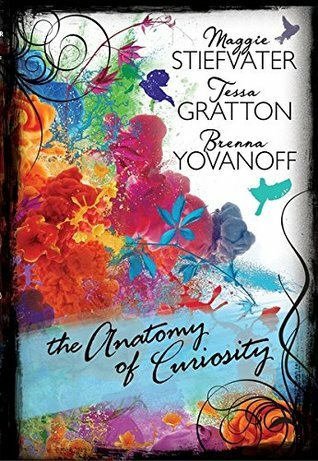 The follow-up to the acclaimed title The Curiosities: A Collection of Stories by Maggie Stiefvater, Tessa Gratton, and Brenna Yovanoff. Three new stories—complete with commentary on the creative process—from three acclaimed young adult authors working at the height of their powers. As short stories go, this is not the best collection I've read. But that wasn't really the point. Or it kind of was, but not really. I'm not making a whole lot of sense. The introduction of the book, in my opinion, is the point. Here are three, successful, talented authors who want to share their insights on the writing process. That's the point. Each author tackles a different concept/discussion point on writing, and in turn, the stories they present revolve around that discussion. Maggie Stiefvater discusses character, the backbone of her stories. Tessa focuses on world building, making the setting a character in itself. And Brenna tackles ideas, where they come from and how they form into coherent concepts. A short introduction proceeds each story, but the interesting, and best part of the book, comes in the form of commentary provided throughout. As you read the story you are privy to fascinating asides about what they were thinking, why the made a particular decision to include an element, or what they changed upon editing. This is a gem of a book for anyone who is interested in writing. What I found most fascinating was that a lot of what they mention made sense :) "Yes, of course you would make that decision. I totally get why," went through my head quite often. It's about process, and focus, and believing that when you sit down to write you are capable of something readable. Boosted my confidence a bit and left me in awe.